Discover the Art and Science of Oneness! 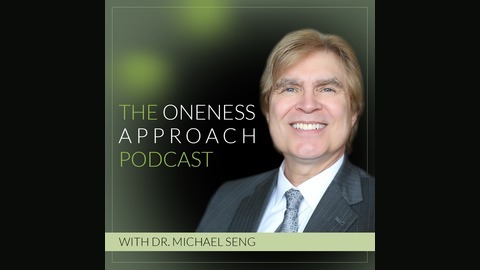 This podcast features amazing wellness tips from Dr. Michael Seng, a certified psychiatrist with wisdom from over 30 years of practice. Listen to insightful interviews with holistic professionals who combine their talents to teach you how to achieve abundant health and healing, a peaceful mind, business success, loving relationships and an overflowing heart. Show NotesToday's GuestsTimelineIn this podcast, I had the pleasure of speaking with Dr. Steven Masley, author of "The Better Brain Solution." During our conversation, we discuss how a healthy, balanced diet can have a tremendous impact on brain function. We also outline several practical ways to overcome cravings and make changing your diet and lifestyle fun and stress free. Steven Masley MD is a physician, nutritionist, trained-chef, author, and the creator of the #1 health program for Public Television, 30 Days to a Younger Heart. He helps motivated people tune up their brain, heart, and sexual performance. He is a fellow with three prestigious organizations: the American Heart Association, American College of Nutrition, and American Academy of Family Physicians. His research focuses on the impact of lifestyle choices on brain function, heart disease, and aging. His passion is empowering people to achieve optimal health through comprehensive assessments and lifestyle changes. As a best-selling author, he has published several books: Ten Years Younger, The 30-Day Heart Tune-Up, Smart Fat, and his latest book, The Better Brain Solution, plus numerous scientific articles. His work has been viewed by millions on PBS, the Discovery Channel, the Today Show, and over 500 media interviews. He also completed a chef internship at the Four Seasons Restaurant in Seattle, WA, and he has performed cooking demonstrations at Cal-a-Vie Health Spa, Canyon Ranch, the Pritikin Longevity Center, and for multiple television appearances. As a speaker during his career, Dr. Masley has spoken for over 300 physician continuing medical education (CME) events, and for over 700 public presentations on a variety of topics related to health, cognitive function, aging, and cardiovascular disease. He continues to see patients and publish research from his medical clinic in St. Petersburg Florida, and he offers weekly blogs on his website, www.DrMasley.com. 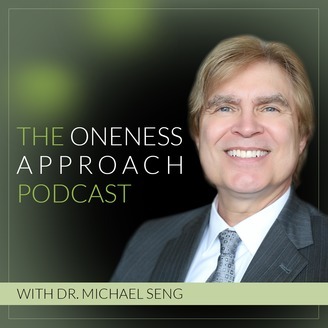 The post Boost Brain Function with a Healthier Diet with Steven Masley appeared first on Oneness Approach.